When you're busy, getting home late or just feeling tired, the last thing you want to do is prolong the preparation of the evening meal. And preparing vegetarian main course meals is just the same as preparing dinners with meat in them - it can sometimes take time. The solution is to start getting together ideas and recipes for meals in a hurry. That is not to say that all your meals should be like that. In fact, sometimes a lot the enjoyment comes with the preparation and delivery and these are times when you should have the meal at the table, savor every mouthful and enjoy the company who is sharing the dinner with you. But, getting back to the quick vegetarian main course meals. One of the absolute beauties of vegetarian cooking is that fact that there are no rules - it certainly isn't like having meat and vegetables, the main part of the meal can be as simple as soup or bowls of different ingredients laid out along with buns and people can help themselves to their fillings. In cold weather this can include heated up leftovers, roasted veggies, chickpea patties and the buns can be toasted….in warm weather change to salad type vegetables and use a tofu dressing. Another good idea is to use the freezer. When you are able to take time preparing the meal increase the quantity so the remaining amount can be boxed up and put into your freezer to be pulled out at a later date when time is of the essence. Make sure that you label the boxes - nothing worse than grabbing a box out of the freezer, thawing the contents only to find that it was food designated for the cat! Types of food for freezing can include pattie mixes which, when thawed, can then be finished off and put straight into the pan. If you are really clever you can actually create the patties laid out individually on a tray, frozen, then packaged up so you need only take out the required number needed each time. Make sure your pantry is stocked with tin foods such as lentils, chickpeas, roasted peppers, olives, nuts and seeds as well as dried herbs and spices. If you know you are going to be busy the following night make a rice dish with extra so you can just re-heat. While it's heating up chop up some fresh vegetables such as spring onions, red peppers, green beans, carrots or whatever you have and add them in during the last minutes of the reheat. From the time you open the fridge to the time you serve the meal should only be about 20 minutes (even shorter). 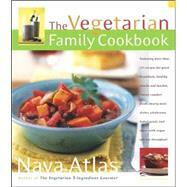 Preparing and serving vegetarian main course meals in a hurry is really very easy. In fact, is is easier than preparing meat meals and there is absolutely no reason why it should not be nutritious and tasty. Bon appetite.